What is one thing that all entrepreneurs have in common? We’re all problem solvers. Whether your business is B2B (Business to Business) or B2C (Business to Consumer), we’re all solving problems for a specific audience that are seeking a solution. The catch is, you’re probably not the only company in your industry that’s offering a solution for the same problems. It is literally impossible to solve someone’s problem without truly understanding what their problem is. Wouldn’t you agree? So, the first thing that should be established in your relationship with the prospect is their why. Why are they seeking you for help? Why do they feel they need your product or service to help them? Clarity is a virtue that’s so underrated. We often believe that we have to make judgments and assumptions in order to gain clarity, but it’s all just a myth. Ask and it shall be given. It’s all in knowing the right questions to ask the prospect in order to understand their perspective and expectations. Whether you have or haven’t gained an understanding of their problem, you’re left with a decision. Can you or can’t you solve their problem? 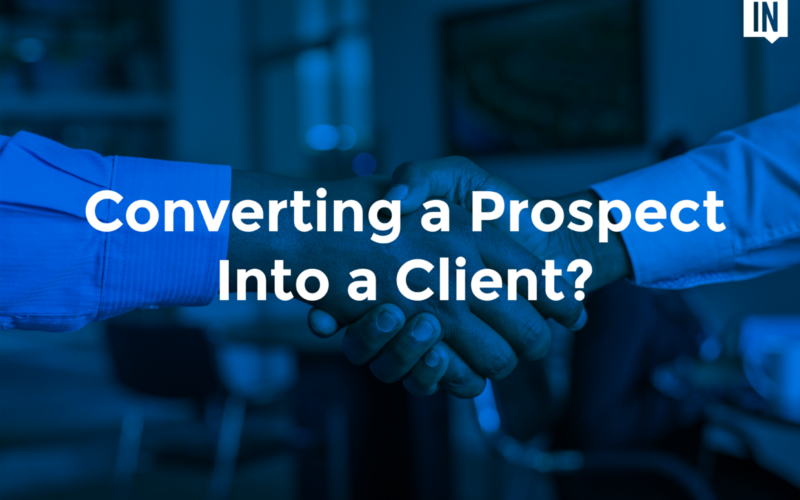 This is where the conversion process differs from business to business. This is where winning the prospects trust and rapport lies in the balance. Let’s roleplay. You’re on the first initial call with a prospect and they’re interested in getting a quote for their upcoming project. So you immediately inquire more details from them to give a fair quote. The prospect begins to “self-prescribe” what their pain-points are and what services they are in need of. All in hopes that you have the remedy for it. Have you ever been a situation like this before? Did you (A) Gain a full understanding of what their problem truly was before you gave them a quote? Or did you (B) Quote them based off their “self-prescribed” service solution? Keep it simple. Be of resource to them, point them in the right direction, or get out of their way. It’s easy to let fear of losing a new potential client drive your ambition in situations like these. But remember, you can never lose something that wasn’t yours to begin with.